1. Sew a straight-ish line across the chest of your sweater. You want to sew from armpit to armpit in order to link the sleeves. 2. Sew the neck hole closed. 3. Stuff the arms like you're turning them into a teddy bear. Pack it right, pack it tight. 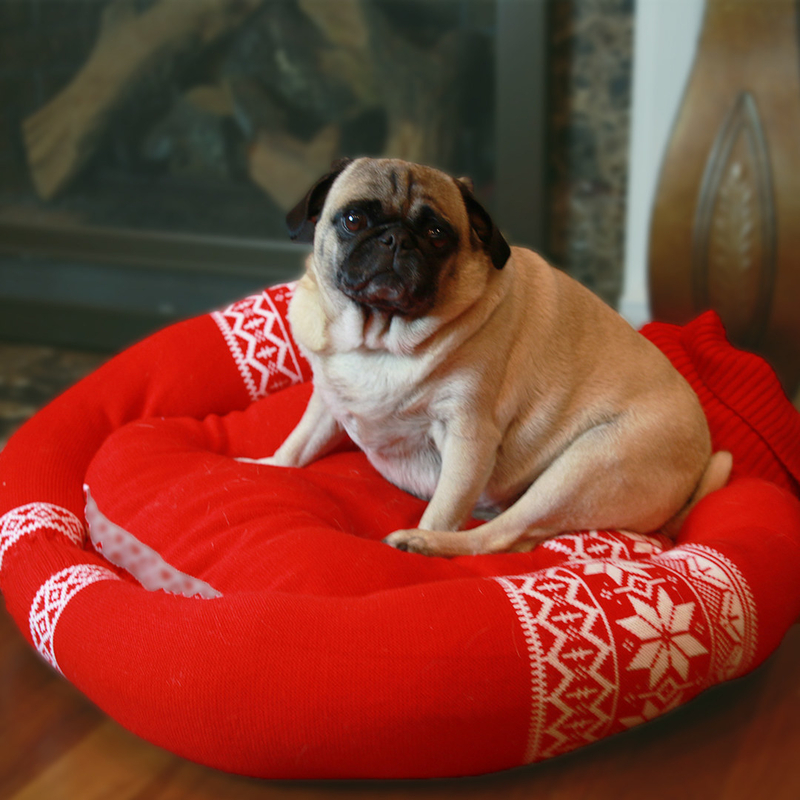 It's going to be the edge of the pet bed, so don't be afraid of overstuffing. 4. 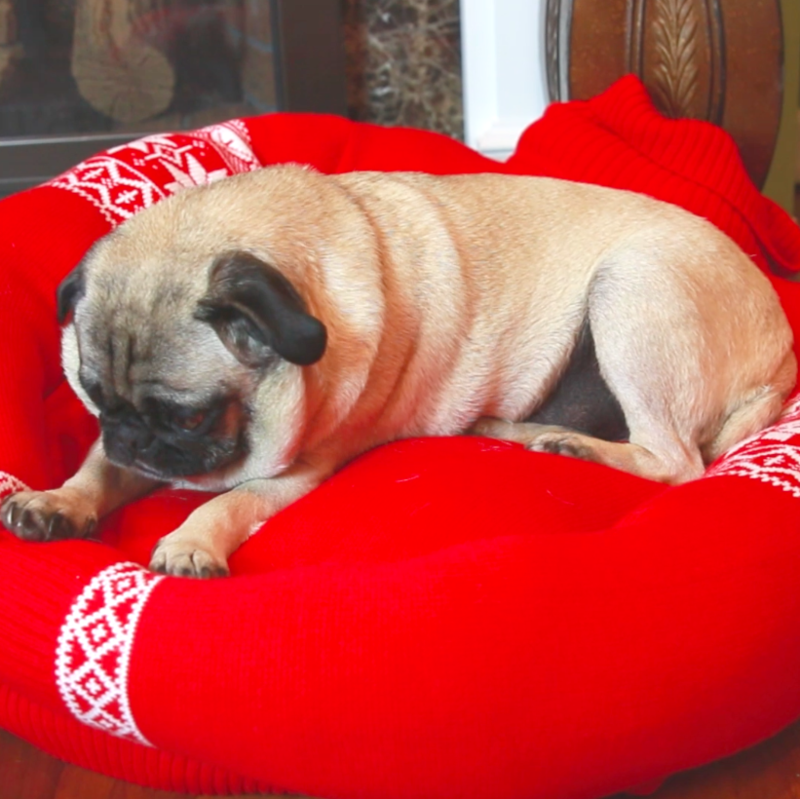 Insert a pillow into the body of the sweater, and stretch the sweater over it so the front and back of the sweater touch. It's best if this is a pillow slightly larger than the body of the sweater so that it doesn't slide around too much when you sew it up. 5. 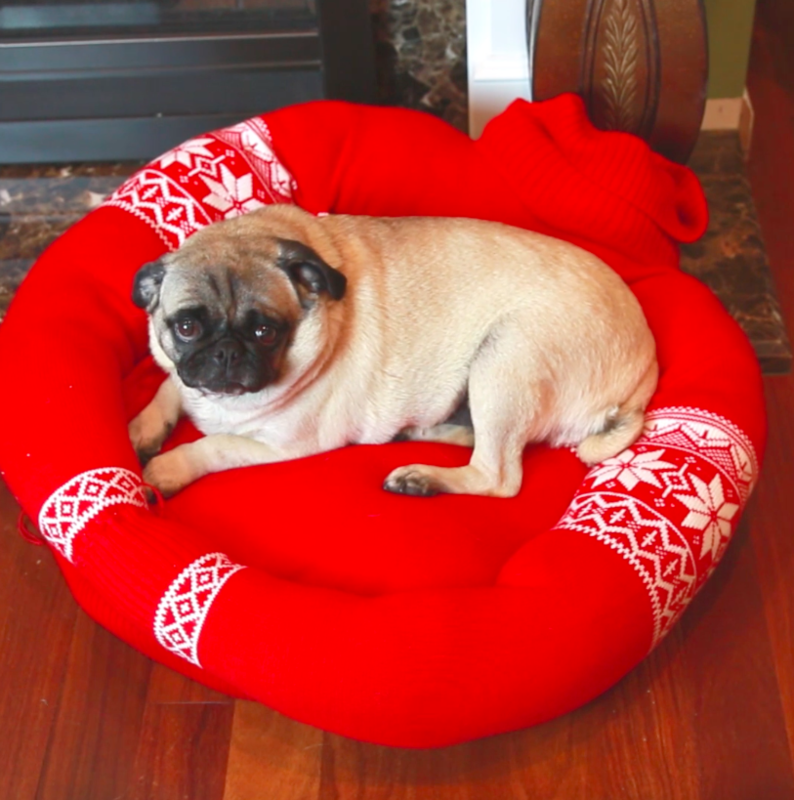 Sew the bottom of the sweater together underneath the pillow. 6. Tuck loose fabric behind the back. Stitch any excess fabric to the sides to hold it in place. 7. Make your sweater arms hold hands, and then stitch them together. It's almost like you're cradling your pet...always. 8. And finally, stitch the arms to the body of the bed to keep them in place. 9. 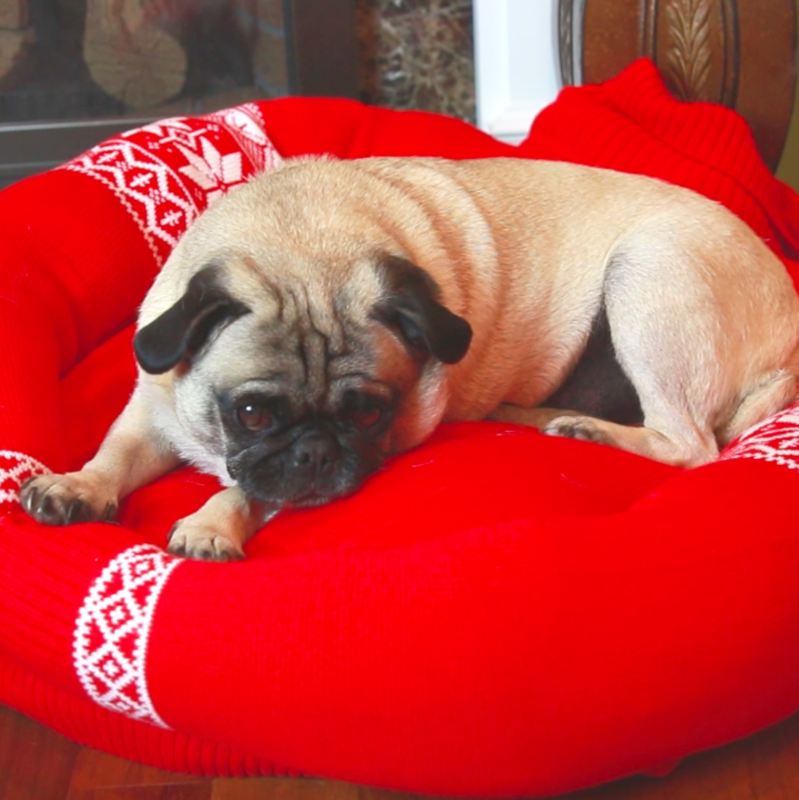 Bother your friends with hundreds of photos of your pet resting in your creation. 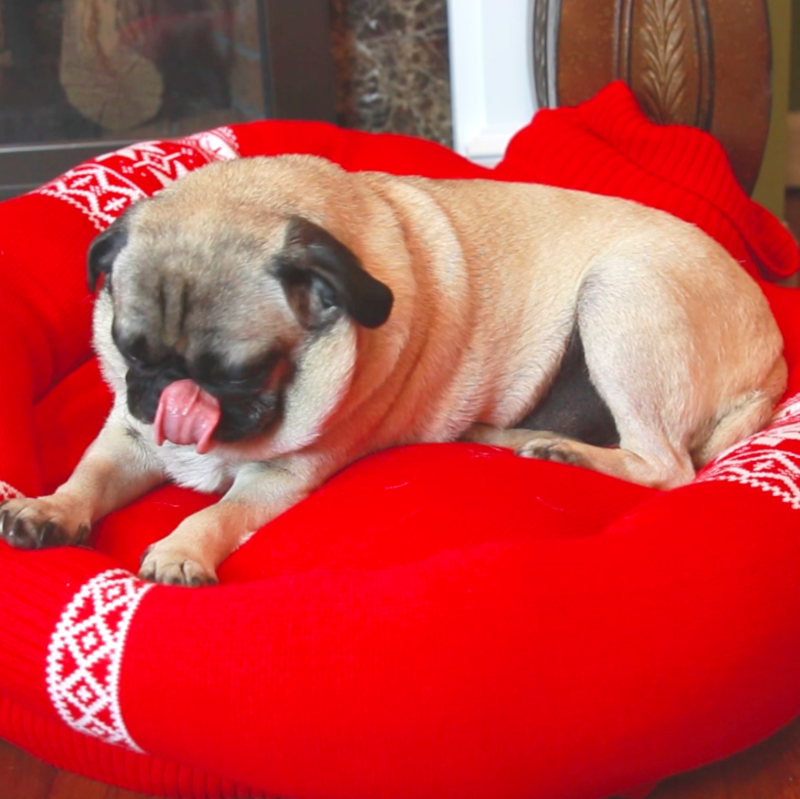 Watch more adorable tutorials at Buzzfeed's Nifty.